This review was originally written for Blueprint: Review. 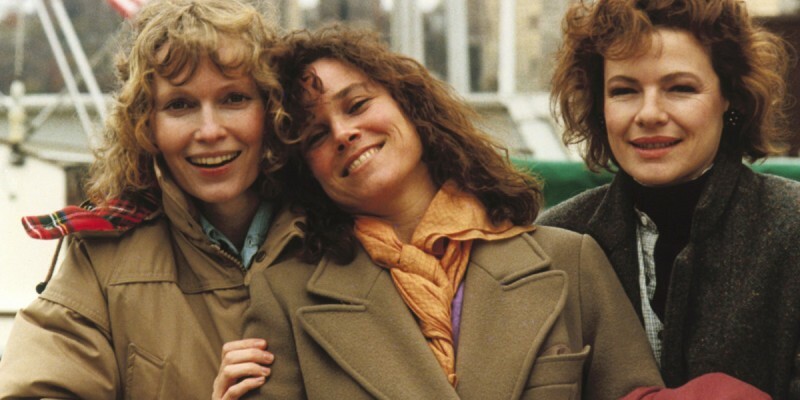 Set over a two-year period, Hannah and Her Sisters follows the numerous exploits of three sisters living in New York and their various friends and family. Hannah (Mia Farrow) seems to have her life most effectively in place. She is an actress, getting back into her work after taking time to raise her children, and is married to her financial adviser husband Elliot (Michael Caine). Elliot however has been harbouring a long-standing infatuation with Hannah’s younger sister Lee (Barbara Hershey), who is in a relationship with standoffish artist Frederick (Max von Sydow). At the apex of Elliot and Lee’s joint feelings of dissatisfaction with their partners, the pair sleep together, and must deal with the ramifications. Meanwhile the third sister, Holly (Dianne Wiest) is a recovering drug addict turned aspiring actress and restaurateur, self-employed as a caterer alongside her friend April (Carrie Fisher), a colleague and competitor for both acting roles and eligible men. Finally Hannah’s ex-husband Mickey (Woody Allen) is a stressed out hypochondriac, whose latest imaginary malady might turn out to be his most serious, and his last. In New York’s Jewish Quarter, Murray, a failing bookshop owner (Allen), needs money. When his dermatologist (Stone) mentions she and her friend (Vergara) have always wanted a ménage a trois, Murray sees an opportunity; he recruits his florist and general odd-job-man friend Fioravante (Turturro) to become a gigolo, and soon the money comes pouring in. Woody Allen continues his obsession with Europe (Vicky Cristina Barcelona, the upcoming To Rome With Love) and adds a little time travel into the mix with this delightful slice of whimsy. Owen Wilson picks up the Allen role as Gil, a writer tagging along with his fiance Inez (Rachel McAdams) visiting her parents as they embark on a business merger in Paris. Gil has made a name for himself writing not terribly good films for Hollywood, but has aspirations for writing novels, and dreams of moving back to Paris, whereas Inez and her disapproving parents seem far more level headed. On a late night drunken stroll Gil finds himself in the 1920s world he so wishes to live in, and gets to meet his idols from a time long passed. It all sounds a little bit ridiculous – a Woody Allen time travel film – and my parents and girlfriend, with whom I watched the film, were expecting something quite different and tuned out quite early on – but I thought it was wonderful. Wilson is a perfect fit as the neurotic Gil, refusing to tolerate Inez’s pedantic know-it-all friend Paul (Michael Sheen, brilliantly punchable) and forever wishing he’d been born in a different time. Many films would dumb down the references to the past, and I’ll admit there were many I didn’t get, but the characters portrayed are so rich and interesting that I’m encouraged to discover more about them on my own. I’m ashamed to say that I’m unfamiliar with the likes of F. Scott & Zelda Fitzgerald and Gertrude Stein, and have only a passing knowledge of Cole Porter, Ernest Hemingway, Picasso and T. S. Eliot, though I think I got most of the Bunuel and Dali references (I’ve even seen The Exterminating Angel, the film Gil proposes to Bunuel, and it’s not even on the List), and as for the others I’m now making an effort to better myself by looking into their works. This is exactly what a film should do, not work out what its audience already knows and repeat that to them, but provide an opportunity to further their own knowledge. The supporting cast is incredible. 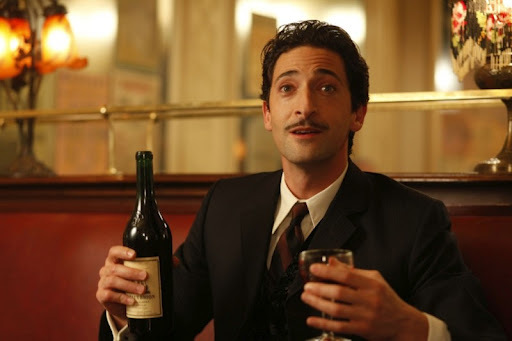 Kathy Bates is Stein, Tom Hiddleston and Scott Pilgrim‘s drummer Alison Pill are the Fitzgeralds and Marion Cotillard is delightful as Gil’s 1920s love interest Adriana, but it is the brief appearance of Adrien Brody as a flamboyantly insane Dali that steals the show (“I see rhinoceroses!”). Rachel McAdams plays a fairly thin character in the almost-bitchy, not understanding fiance, and her parents (Kurt Fuller and Mimi Kennedy) begin to grate after a while as their characters refuse to develop throughout the film. All the typical Parisian tourist attractions are acknowedged, and got out the way, early on in a brief montage. This is nice, as it’d be a shame to ignore them, for they aren’t part of the story, but they show perhaps the draw of the city to Inez and her family, whereas Gil prefers the layers of life and history underneath. The present day scenes are shot crisply, everything looking bright and new, whereas those set in the past are softer, slightly fuzzy around the edges, and with such a warm palette it’s no wonder Gil wants to live there. It has a more mysterious atmosphere full of soirees and flapper dresses. It’s not for everyone, and many may find it just too odd to come to grips with, but if you are a Woody Allen fan (and you should be), and have either a good knowledge of the 1920s or want a place to build yours from, check this out. Woody Allen famously has a tendency to write himself into most, if not all, of his scripts. 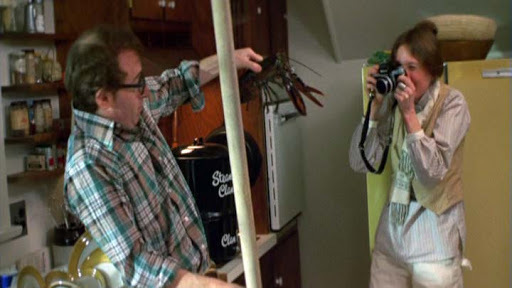 It is usually difficult to distinguish where Allen ends and his characters begin, and this is none more so than with Alvy Singer, Allen’s neurotic obsessive from this, arguably his greatest and funniest film. 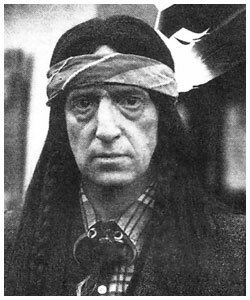 It is this ability to use himself, or at least a variation of himself, as his protagonist that has allowed Allen to create such a well rounded, nuanced persona. One wonders if he hasn’t been living life as this character since birth, honing the pessimism, the paranoia and awkwardness, so now all he needs to do is put the ‘character’ into a slightly heightened situation, and a natural comedy will emerge. Not that character is the only weaponry in Allen’s arsenal. The script is hysterical yet droll enough to quote in everyday life (“we can walk to the curb from here”), the performances perfect, particularly Diane Keaton as the eponymous Hall, both Singer’s ideal partner and greatest foe, and the film is peppered with fourth wall breaking with moments of originality, from a narration that admits it may be exaggerating to direct-to-camera conversations and asides. Thee almost sketch-like format of the film, flitting backwards and forwards in Hall and Singer’s relationship, suits Allen well, as he is a filmmaker of varying styles and techniques, so he is able to showcase this without jarring the rest of the film, such as when he used split-screen to compare different family meals, or stopping random people in the street for relationship advice. Oh, and the woman waiting with Singer at the end of the film, out of focus and silent in the distance for a matter of seconds? None other than Sigourney Weaver. Shot completely in a documentary style, complete with narration and interviews with those involved, Zelig tells the story of a man with the ability to transform his appearance, personality and skillset to those around him as a chameleonic defence mechanism. I knew a little of the plot before watching the film, but I found the documentary style to be refreshing, especially the way it limited the lead performances of Woody Allen as Zelig and Mia Farrow as the doctor who falls for him to audio footage, archived interviews and media clips. The film is littered with Allen’s trademark humour and surreal style, and I found the use of different styles of camera to reflect the purpose and technology behind the footage.